Here is a little surprise release of my Metamorphin sugar capsule toys featuring pink and turquoise pills. 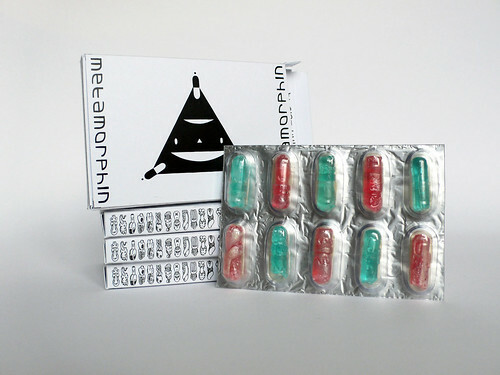 Metamorphin come in a handmade blister capsule packaging and a handmade box. There are 10 different sculptures out of which 2 are less often and one is a chase. I will take care not to have a set of only one sculpture but I can not promise that there won’t be doubles. No single purchase of pills is possible.